When talking about recreational sailing in the United States, watersports, and the tourism industry, Miami ranks among the top cities for water activities. Unfortunately, many swimmers, surfers, and scuba divers who enjoy the good weather down here are also aware of how dangerous it could be. Those who own several vessels in particular, such as fishermen or boat owners, will pass through beaches, water channels, rivers, and even swamps, but unfortunately, many of them become part of the highest rates of boating accidents in the country. Were you or a loved one involved in a boating accident? Have you been injured while swimming, diving or spearfishing? Maybe you worked for a marine company and sustained severe injuries while at work or perhaps you suffer from an illness caused by being exposed to dangerous chemicals. If that’s you, you should know that there are federal and state maritime laws that protect your rights. 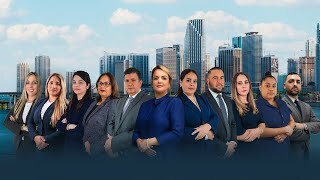 Miami accident attorneys at Gallardo Law Firm are at your disposal to investigate your circumstances as soon as possible. A Miami boating accident attorney has the necessary knowledge to represent your particular case so that you can receive the highest compensation possible for the damages suffered in a boating accident. We can make those responsible for your injuries pay for their mistakes. When Can You Make A Claim For A Boating Accident Injury? If you or a loved one were injured in Miami while traveling in a boat or injured while diving, swimming or fishing; you should contact a Miami boating accident attorney from Gallardo Law Firm who understands your situation and how the law can help you. You must take the appropriate course of action and claim your compensation within the deadlines. Having a good case and using the law to protect your interests will help you obtain the maximum benefit possible. You should always keep in mind that if you do not file your claim within the deadline (four years for personal injury cases in the state of Florida); you may lose your rights to the suit. In the same way, if you let time pass you could gather evidence essential to the resolution of your case. Another issue that you should also consider is that some specific legal actions are based on the type of demand, the maritime or insurance company responsible for covering the damages caused and the contract or clause you signed, which may modify the expiration day of your claim. If you have traveled on a cruise, for example, your ticket may say that if you have any claim, you must file it within one year. The courts accept these clauses. There may also be an agreement that if you are going to sue, your Miami boating accident attorney should notify the cruise company within thirty days of your accident and always go to court. How Can a Miami Boating Accident Attorney Help You? You can file a lawsuit based on the laws of Florida. Your Miami boating accident lawyer at Gallardo Law Firm will assist you with a full investigation and develop a successful case where you can get the highest compensation possible. Due to different maritime laws (state, federal or international), the process can be quite complex. However, choosing an experienced boating accident lawyer can guarantee that you are adequately compensated for any medical expenses, pain, and suffering, boat repairs, among other economic and non-economic damages that may qualify for compensation. Good advice can help you determine who is responsible for the accident and which legal strategy is most suitable for your specific situation. It will guarantee the most advantageous physical, emotional and financial recovery. Our boating accident lawyers’ expertise makes some legal resources available such as digitally recreating the scene of the accident, interviewing witnesses, researching applicable laws including the most recent ones, studying similar cases to establish and present the best arguments on your behalf and in the most persuasive way possible. Do not be afraid to file a claim if the boat driver was your friend and behaved negligently. Sailors have insurance to cover these costs. Unfortunately, mistakes are possible, and that’s what the protection is there for. If you hire one of our boat accident attorneys, it will not create an economic problem for your friend as long as you file a lawsuit for the accident. It will prevent significant financial loss since the attorney can have the insurance company pay for the costs associated with the damages incurred in the boating accident. Under the US Maritime Law, all boat owners and operators have a legal obligation to provide medical assistance at no cost to any crew member who has been injured, or who becomes ill, while he is working on the ship, regardless of whether or not he is guilty and the circumstances of the accident. All that is required for you to receive free medical attention is for the accident to occur or the illness to manifest itself when the person is an active employee of the company. You do not have to be on the boat at that time of the accident; you can be traveling from your home to the ship or vice versa. Even when a boating accident did not cause the injury or illness, the person may be suffering from heart problems, gallbladder, kidney, diabetes or have certain mental conditions that qualify them to receive medical treatment covered by the maritime company they work for, without administrative delays or prior negotiation, under maritime labor law, and international maritime law. Medical attention can be received on board the vessel or at the nearest port. It is not legal to send the person to a third country that is not their country of origin or to the closest port where the vessel is located. Once the patient has fully recovered, the company is no longer responsible for their wellbeing. The ship’s doctor makes this decision. This opinion can be challenged if the company rather than the patient chose the doctor. Cruise Injuries: The attorneys at Gallardo Law Firm deal with cruise ship accidents and personal injury cases that occurred in South Florida, Key West and Ft Lauderdale. Unfortunately, this type of accident may cause a wide variety of injuries. Harbor boating accidents: Some boats may need repairs, if you stumbled, slipped and fell; you can file a claim, or if you had an accident on a slippery pier in poor conditions or needing maintenance, you may be entitled to compensation as well. Private boats: The owner of a private vessel is responsible for the welfare and protection of its passengers. Boat accident lawyers frequently find themselves representing private boat owners, people who have fallen overboard or those involved in a collision with stationary objects such as docks. Boat and ferry charters: : Those who own boats or ferries have the responsibility to ensure the safety of people on board these vessels. The owner, as well as the ship captain, can be found guilty for the injuries sustained in a collision, or when exposing their crew and passengers to turbulent waters. Personal boats : Jet skis, watercraft, and small boats are also included within the variety of ships that are taken into account when handling a maritime accident case. Quite often, we have handled incidents of collisions where this type of vessel crashes into fixed objects or another boat. Maritime accidents can cause severe injuries and even death. The causes may vary, but Gallardo Law Firm's boating accident lawyers have enough experience to deal with these unfortunate situations and ensure that the victims or those who lost a loved one in the accident find comfort and receive financial compensation. Negligence: This is when you do not act with reasonable care. Errors, lack of concentration or irresponsibility on the part of the crew can lead to collisions. Human errors are the most common causes of maritime accidents. If you are injured in a motorboat or on a sailboat, and you wish to recover all your losses, you must first prove that your injury was the result of someone else’s negligence. Boating Under the Influence (BUI): Operating a vessel under the influence of alcohol or drugs is illegal and subject to criminal charges under Florida maritime law. People who operate a jet ski or any other type of boat or larger vessel while intoxicated are responsible for any harm they may cause. Negligent boating: People trained to operate a boat, ship or Jet Ski owners, sometimes make mistakes in challenging situations. It is no secret that weather conditions are an influential factor when maneuvering a vessel in rough seas. If you add to this that under adverse circumstances the people may not react as they should, the voyage may not have a good ending. Workplace injury: Maritime workers who are victims of accidents at the workplace are entitled to receive maximum compensation for their injuries. If they have suffered because of a third party, or due to the negligence of their employer, the insurance company must compensate them accordingly. In Florida, many of the people who operate a sea vessel may not have the proper education or training to do so. Some do not have sufficient skill, and they do not know about the laws and the primary navigation rules. Therefore, navigation accidents are frequent. A maritime accident can have terrible consequences, from an explosion or a fire to a minor or major injury sustained in a slip or fall, it can end badly. However, the most common harm is drowning death. The injuries caused in a marine accident can vary. Some cases involve burns, lung infections, broken bones, and even brain or spinal cord injuries. The most dangerous injuries are those that are caused by a direct collision with another boat or object. When boats crash against each other or submerged objects. If someone is hit by a boat or a propeller. Carbon monoxide poisoning from ship exhausts or if the vessel has a defective system. Boating accident attorneys in Miami will file the proper claims so that you can receive compensation to lessen the damage suffered. Financial help to cover the medical costs of treatment. Compensation for lost income if your injuries caused you to miss work. Damages due to pain and suffering. Mental disorders as a consequence of the accident. The accident occurred as a result of the negligence or misconduct of another person. You can prove that the other party was directly responsible for your injuries. You can test the extent of the damages and losses you experienced. Boating accident attorneys at Gallardo law Firm in Miami have a vast experience representing clients who have suffered personal injuries from being on board ships whether for private or commercial use. Maritime accidents are not as frequent as traffic accidents. Boating accident attorneys are familiar with the legal process required for these complex cases. They understand how maritime laws can differ from other laws, and the time limit to file your injury claim. One of the problems of boat accident victims often face is that liability insurance is not mandatory. There are also many details you may not know about and may become a problem along the way, especially when it comes to proving the accident was not your fault and your right to compensation. Gallardo Law Firm boating accident attorneys know how to build a strong case by documenting your medical situation, consulting with experts and gathering crucial evidence to prove negligence or liability. Our attorneys will ensure that you receive adequate medical care, and demand fair compensation to help you through the whole process of dealing with medical providers, insurance companies, and other court matters. Remember that our first consultation is free of charge, so do not wait and call us today. Time can be your best ally. Boating at high speeds without safety equipment on board can be dangerous, and it also constitutes boating negligence. Other boating negligences include excess passengers or merchandise, distracted driving, colliding with another boat or object, and disrespecting maritime laws. What type of boating accident may qualify for a legal claim? For a boat accident to be reported in the state of Florida, it must involve the death of a person, a missing person or circumstances that suggest a possible death or injury that requires medical treatment or more than $ 2,000 in property damage. Contact a boating accident lawyer if you or a family member went through a similar situation. A recreational boat can be a yacht, a sailboat, jet skis, kayaks, canoes, cabin cruisers, inflatable boats, go-fast boats, airboats, among others. Is there an age limit for operating a boat? Boats and watercraft represent an essential part of Florida's recreational and tourism industry, so more regulations mean more limitations for consumers. Therefore, there is no age requirement to operate a boat in Florida. Individuals over 30 are not required to have a boating license or even to pass a boat safety course. That means that many people are not licensed, which can make a boating accident even more catastrophic. What are the most common boating accidents in Florida? Collisions with other ships and with fixed objects, flooding, fall overboard, explosions and fires due to a fuel leak and boat sinking. Who is responsible for a boating accident? In general, victims or their families can sue the parties responsible for the accident, including the ship operator whose negligent actions led to the crash or who failed to provide reasonable safety, the boat owner, boat Rental Company, and other passengers who acted negligently or recklessly. If I go on a boat and I have an accident, can I file a claim? We need more information to give you adequate advice and to determine fault. However, in a collision between two boats, both boat operators can be blamed for the accident. Therefore, passengers injured in those two vessels may have a claim against boat operators, just like in a car accident case. What is the most frequent maritime accident in Florida? Collisions between two boats are the most typical accidents in Florida. Statistics have shown that most accidents occur between a recreational cruise and a fishing boat, as boat operators tend to be distracted. In an accident between a speedboat and a sailboat, which party is more likely to be responsible for the crash? It is difficult to answer this question since it all depends on the circumstances that led to the accident. Nevertheless, in a collision between a sailboat and a boat, it is more probable that the speedboat is more at fault than the sailboat because the rules of navigation require that the speedboats remain out of the reach of sailboats. If you have any other questions, do not hesitate to contact us today. Our Miami boating attorneys are at your disposal. How much time do I have to file a personal injury claim against a cruise line? The deadlines or “statute of limitations” can vary in each state. If you wish to file a claim against a cruise line after being injured, your ticket generally includes some specific information about it. The statute of limitations for filing a claim in Florida, after an injury caused by negligence, is four years. For more information, contact a Gallardo Law Firm boating accident attorney, and we will provide you with more details.